Below you can view all the homes for sale in the Glencree subdivision located in Suwanee Georgia. Listings in Glencree are updated daily from data we receive from the Atlanta multiple listing service. To learn more about any of these homes or to receive custom notifications when a new property is listed for sale in Glencree, give us a call at 404-998-4162. Upgraded Insulation & Unfinished 5Th Bedroom Upstairs. MLS#6530086. Rick A. Kenny Realty. +/-70 Acre Lot To Enjoy Morning Coffee Or Relax At The End Of The Day. MLS#6522824. Berkshire Hathaway Homeservices Georgia Properties. Updated Secondary Baths, Even Include Laundry Chute. MLS#6516260. Keller Williams Realty Atlanta Partners. Recently Replaced Roof, Hvac, Water Heater And New Micro Oven And Cook Top/Oven. MLS#6516007. Virtual Properties Realty. Biz. 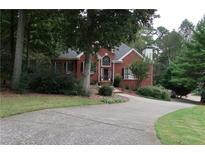 Large .62 Acre Lot W/ Spacious Back Deck & Patio. Hurry Before It'S Gone! MLS#6513197. Keller Williams Realty Atl North. Home Comes With A 30-Day Buyback Guarantee. Terms And Conditions Apply. MLS#6508176. Opendoor Brokerage, Llc.